The meeting was opened by the acting Permanent Secretary of the Ministry of Natural Resources and Tourism of the United Republic of Tanzania, Mr T. Maembe, who welcomed the participants and briefly described the objectives of the workshop. Mr Maembe briefly outlined the wildlife policy of the United Republic of Tanzania in anticipation that MIKE activities will complement this policy. In particular the acting Permanent Secretary expressed his hope that the meeting would address, inter alia, the provision of adequate resources for covering extensive MIKE sites and contributing to human resource capacity building. Next, Mr Nigel Hunter, the Director-designate for MIKE introduced himself and thanked the Government of the United Republic of Tanzania for hosting the workshop. Mr Hunter also emphasized the importance of the role that MIKE plays in capacity building and pointed out that although MIKE is a continent-wide program the implementation is wholly owned by the range States. Finally, Dr Jim Armstrong, Deputy Secretary General of CITES welcomed all the participants and expressed how pleased the Secretariat was to have the opportunity to convene this sub-regional Steering Committee meeting. Dr. Armstrong described how the MIKE process coincides with the ongoing multi-lateral efforts at enhancing synergy in protecting threatened species across the world. It was stressed how MIKE serves as a conduit for communication between the Parties to CITES for the benefit of more effective conservation of the elephant throughout its range. Lessons learned at this sub-regional forum will provide valuable information that can be used elsewhere in Africa and Asia for the benefit of the species. Dr. Armstrong concluded by thanking the acting Permanent Secretary and the Government of the United Republic of Tanzania for hosting this forum and also extended warm greetings from the Secretary General of CITES. to establish correlations between the relevant parameters and assess to what extent observed trends are a result of CITES decisions. The overall aim of MIKE is to provide information needed for elephant range States to make appropriate management and enforcement decisions, and to build institutional capacity within the range States for the long-term management of their elephant populations. The importance of capacity building and providing the range States with information was emphasized. A clear distinction was made about what MIKE is and it is not. MIKE is a site-based system established to monitor trends and level of illegal killing of elephants while trying to determine the causes of this killing. What MIKE is not, is a program for stopping illegal killing. Next, the benefits of MIKE were listed. The participants were asked to refer to document Doc. 11.31.2, which lists most of these. It was pointed out that this is the first time in the history of international environmental agreements that a system on a bi-continental scale analyzing site-specific information on a continuous basis with scientific methods has been adopted. MIKE is also beneficial because it aims to identify the actual reasons for a change in trends in illegal killing and species other than elephants are also likely to benefit from such a system. It was noted that as the MIKE is a practical and simple system that range States might wish to adopt it at a national level even at sites other than designated MIKE sites, and for the protection of other species. The question of a possible requirement to change sites to reflect changing circumstances or priorities was raised. It was explained that changing sites would not constitute a problem as long as this was properly recorded and as long as it did not upset the in-build statistical balance of the original site selection process. The importance of measuring effort to avoid jumping to wrong conclusions was explained. Mere data on numbers of elephants killed legally are not sufficient to establish true trends in the level of legal killing. What is needed is information on the level of effort (patrol effort, staff budgets etc) expended to obtain this information. Simply recording elephant deaths does not reveal anything about the true causes of such deaths. It is pointless to direct resources towards a problem whose real causes have not been identified. MIKE will therefore provide the correct intelligence to enable range States to make informed management decisions about how to respond to illegal killing of elephants. A brief chronology of MIKE up to the Conference of Parties 11 (CoP 11) was outlined. It was emphasized that the range States themselves approved the prototype MIKE program presented to them at the African elephant range States dialogue meeting in December 1998. Other important milestones mentioned include the launch of the MIKE pilot phase in Central Africa in April 1999, the meeting to launch MIKE in southern Africa in November 1999 and the selection of the membership of the Technical Advisory Group (TAG) by the MIKE Subgroup of the CITES Standing Committee in July 2000 and the recent MIKE workshop in West Africa in February 2001. All available material on MIKE was posted on the CITES website (www.cites.org) in February 2000. This site is a valuable resource for anyone interested in the MIKE program and it contains information on progress to date. This site will be improved further in April 2001. A data management strategy will be finalized after the TAG has finished reviewing all the protocols and procedures and given recommendations to the CITES Secretariat. Parties were also encouraged to give their comments on this matter. securing long-term funding for implementing the MIKE program (current funding amounts to approximately Euro 3.5 million for a period of 18 months). Some participants felt that although the AfESG had been asked to suggest sites in Ouagadougou they were not asked to endorse them. Afterwards the process was taken over by statisticians who produced a list of 45 sites in the four sub-regions. Some felt that this final selection should not have taken place without consultation of the AfESGp and the relevant national management authorities. In response to these concerns, it was clarified that the list of selected sites has not yet been made official and cannot be done so without agreement by the range States themselves. Indeed, reaching consensus on this matter was mentioned as one of the main objectives of this sub-regional meeting. Furthermore, the participants were reminded that a number of alternative "fall-back sites" were also selected in case the suggested sites became unusable for any reason. The Tsavo/Mkomazi ecosystem comprises some 40,000 km2. Mkomazi is in Tanzania and it was suggested that this site should be managed in collaboration with the Tanzanians as provided by the Lusaka Agreement. Funding would come from MIKE, (if additional funds can be raised). The Meru/Kora/Zenagi site covers an area of less than 5,000 km2. and encompasses three major elephant dispersal areas. Funding would need to come from MIKE. The Samburu/Laikipia ecosystem covers an area of 7,500 km2. Funding would need to come from MIKE. The Elgon site, which straddles the Kenya/Uganda border, will be funded and managed by the governments of Kenya and Uganda as per the Lusaka agreement. Ruaha NP	Ruaha NP/Rungwa/Kizigo ecosyst. The Selous/Mikumi ecosystem covers an area of 50,000 Km2. The funding for this site is expected from MIKE. The Ruaha/Runga/Kizigo ecosystem covers approximately 16,000 Km2.Funding is expected from MIKE. The Katavi/Rukwa/Lukwati site extend to a total area of the site is 11,000 km2. Funding is expected from MIKE. Serengeti/Ngorongoro/Mara site has a combined area of ? Km2. This would be managed in collaboration with Kenya and funded by the governments of the two countries; Tarangire NP (total area 2,600 km2) and Manyara NP (total area 325 km2) will be funded by the Tanzanian government. The Moyowosi/Kigosi site (total area ? km2) is expected to be funded by MIKE. The Elgon site will be managed in collaboration with the government of Kenya and funded by the respective governments. The Murchison Falls and Kidepo Valley sites were suggested as additional MIKE sites if additional resources for implementation of MIKE at these sites could be secured. Akagera remains as the MIKE site for Rwanda. Gash Setit remains as the MIKE site for Eritrea. It was emphasized that MIKE budgets have been based on the original sites. With substantial additions in geographical area, MIKE will either have to explore new fund-raising opportunities or the States themselves will have to find the funds for MIKE implementation at these additional sites. Discussions regarding the status of Elgon NP, the only forest site in eastern Africa, revealed that there was a lack of knowledge about latest forest survey techniques in the sub-region. It was noted that the inclusion of this site will result in these new techniques being introduced which helps to develop the sub-regional monitoring capacity. Preliminary studies suggest that forest elephant surveys using the dung count methodology are capable of producing results that are comparable in accuracy to aerial surveys. Finally, it was mentioned that the site selection process had now been completed in the southern African and West African sub-regions but not yet in the Central African sub-region. Regarding remaining range and voluntary sites it was noted that even with the additional sites large areas of range would still be outside the MIKE system. However, MIKE should be understood as a progressive process leaving the option for more sites to be covered, depending on future review of the process and resource availability, etc. It is also important to note that MIKE data collection methods can be used to collect data on e.g. carcasses found outside the site and this information can be fed into the MIKE system. Therefore, it is recommended that MIKE protocols be incorporated into all forms of survey work, irrespective of where it will be carried out. The structure and coordination of MIKE was explained. There will be four Sub-regional Steering Committees (SSCs), each with representatives elected from the sub-regions. The MIKE Central Coordination Unit (CCU) will be headed by the MIKE director in Nairobi, who will be working with the regional sub-committees. Each SSC will elect a chairperson who will become the contact person for the MIKE director. The MIKE TAG is a global body providing technical input to the CITES secretariat, the Conference of the Parties and the CCU. The TAG members are selected as representatives of the sub-regions. There are also 4 general members and two members for Asia. It was stressed that the TAG members are selected for their technical expertise and although they may be representing a given region they are not speaking on behalf of that sub-region. It was also mentioned that there would be nothing to stop the establishment of sub-regional TAGs to offer technical input at the sub-regional level, if this was considered useful by the Parties. The roles of the CITES Secretariat, the CCU, the MIKE Subgroup were also defined. Manage expenditure (including donor reporting requirements). Assisting the Site Officers (SOs). The participants were asked to consider nominations for the members of the Sub-regional Steering Group Officer and the Site and National Officers. It was noted that it is the right of each State to decide on suitable candidates. It was also noted that one candidate could fulfill more than one role. The position of the Sub-regional Support Officer will be advertised, the applications reviewed and recommendations will be made through the CITES Secretariat and the MIKE Subgroup. Furthermore, it was clarified that the National and Site Officers would be contributed by the member governments and not employed by MIKE. Instead MIKE would fund surveys, workshops, training, technical input and some infrastructure. Desk-based collation of direct and indirect sources of information about the socio-economical and socio-political context, incidence of illegal activities and conservation and protection effort at each site. MIKE forms will replace other CITES form in use at present for recording cases of illegal hunting and trade, excluding the ETIS forms. Few Parties regularly use the current reporting forms. The TAG is investigating the implications of substituting quarterly reports for monthly reports. It is feared that without monthly feedback too much time can pass before trends or sudden changes are picked up by the MIKE program. It is envisaged that, in the long run, information from the MIKE program can establish "optimum" levels of patrol effort to halt poaching or allow for comparisons between different interventions. However, it will take time before such optimum levels can be reached. There was clear consensus that in cases where technical input to the MIKE process was offered by statisticians, such information should be presented to the Sub-regional Steering Group in the an open and transparent manner. While recognizing that the MIKE program will endeavor to commit the maximum amount of resources possible implementing the program the importance of extracting maximum benefit from existing resources and capacity at the national level must be recognized by all parties. The patrol report was described in detail and the various information needs required to complete this form were listed. The draft status of these forms was emphasized and the parties were invited to provide input for improving them. Previously a suggestion had been made in the southern African sub-region that smaller (pocket book sized) forms should be designed and adopted for practical reasons. The participants of the current workshop echoed this suggestion. It was also pointed out that all the described forms could be entered into the Cybertracker system. This has the advantage of providing a user-friendly tool to staff with little formal training and even caters for illiterate users. Another point raised was the need for the TAG to determine whether MIKE should use actual number of patrol hours rather than the previously suggested six-hour patrol system. A number of factors relating to the number of persons per patrol were discussed. For example, it was noted that armed personnel are more likely to conduct longer patrols in more difficult areas than unarmed patrols. A clear correlation between the detection of illegal activities and the number of people in patrol were also noted based on previous experience (i.e. multi-person patrols seem to be more effective). It was mentioned that site-specific maps will have to be developed and the current standard of mapping at several sites need to be improved, at least until the Cybertracker technology is fully operational. In particular, it is vital that the rough route of the patrol is drawn and that any incidents are indicated on the maps. Furthermore, the distance patrolled has to be recorded either with the aid of a GPS or by recording in manually on the site maps. The particular characteristics of patrol formation were highlighted and it was explained how these can vary with time and changing circumstances. The main objective of recording this information relates to the estimation of patrol visibility factors. This is further explained in the detailed instructions, which accompany the ground patrol report (see Annex x). However, the majority of the participants felt that this information was largely irrelevant for the sub-region and it was suggested that this requirement be removed from the ground-patrol forms in order to simplify the form. GPS technology can track patrol movements with a great degree of precision but the name of the site should still always be noted down separately as this is not a function that Cybertracker can do automatically. Furthermore, it was recommended that future training initiatives should incorporate a component in which SOs actually test these forms under real field circumstances. It was emphasized how important it is to record information about the carcasses, especially when and where it was found. Any other signs of illegal activity, e.g. cartridges, snares, shots heard or any other relevant information should also be recorded. The form also provides for the inclusion of more details in the "additional notes" section. For example, sightings of live elephants could be given or other relevant information might be included to help elaborate on incidents mentioned in the ground patrol report. The importance of including additional information was also raised at the sub-regional workshop in West Africa. It was recognized that any complication in data collection should be minimized and that MIKE should try to fit in with existing data collection protocols. Some participants even pointed out that in order to make these forms useful at site level, the range States should be given the opportunity to look at what would be the most relevant information to be included on these forms. However, the participants were also reminded that the forms being discussed have already been designed to contain no more than the information considered essential for MIKE implementation. It is therefore vital that these forms are tested in the field and only modified afterwards to reflect feedback from such field trials. Based on such data, the TAG could then re-examine all the forms and make further suggestions on simplifying them without losing their inherent analytical properties. In response to concerns regarding delays in process for adapting MIKE reporting, (e.g. as a result of above-mentioned modifications to protocols) it was stressed that any problems would be dealt with immediately through the MIKE Director and TAG (reviewing proposed changes at the global level) in close liaison with the NOs and the SSCs. To summarize, the States should start the programme using the forms as they stand, and then report back to the CITES Secretariat on suggested modifications and issues encountered. It was further clarified that the primary objective of MIKE is to determine what effort levels exist at the moment, and to measure that effort every time a patrol is done. The States are doing patrols with whatever resources they have and MIKE will simply take this effort level into account when considering elephant mortality data. Electronic versions of all the forms would be provided to all parties involved in the MIKE process. A number of site-specific constraints to patrolling were listed including the inaccessible nature of some sites and inadequate staffing levels (1 person patroling165 km2 compared to an ideal of 1 per 25 km2) due to high levels of retrenchment. It was also noted that there is often a marked difference between how old and young staff collect data and it was even questioned whether these staff really understand the significance of the data they are collecting during their routine patrols. The importance of motivated staff at all level was identified as a particularly important Experience has shown that staff often become more motivated when empowered and given access to new technology, such as that involved in the MIKE process. In many cases staff have rapidly mastered data collection and use of modern technology with a corresponding improvement in motivation. It was explained that detailed descriptions of patrol activity are sometimes problematic. For instance, after pursuing poachers, patrols may find it difficult to re-trace their route and record distance covered. Therefore, the need or flexibility in these forms was stressed. It was further noted that where patrols are set specific tasks by a commanding officer, these tasks need to be noted in the relevant forms. Moreover, it may prove challenging to get field staff to use forms on every patrol. On the other hand, specialized patrol staff, such as specialized anti-poaching units, would be well suited to using this kind of form. A comment was made to clarify the analytical objectives of the ground patrol form. These were reiterated as follows, i.e. to provide a record of the type or extent of patrol effort and a means of calculating number of carcasses/illegal activities per distance or patrol effort. The report form was introduced and described. The carcass report can not only be used for any carcass found on a ground patrol, but also for incidental reports which require assessment and follow-up, e.g. tourists reporting dead elephants. This should eventually prove particularly useful to wildlife managers in determining which type of patrol or surveillance system is the most effective. It was noted that it is important to include the exact carcass location since the same carcass may be seen several times by different patrols. This avoids double reporting. It was noted that it would be useful if carcasses found are marked to avoid duplication in reporting, perhaps by using paint or skull cuts, etc. Also, carcasses are sometimes covered to conceal evidence, which is an indication of poaching. Such information should be included in the report. On the issue of determining the age of carcass, factors such as regular burning or rainfall variations, which influence the aging of the carcass, were noted and should be taken into account. To address this issue, it was suggested that as part of training the SOs, photographs could be used, depicting carcasses of various known ages. As carcasses are often detected from the air, it was pointed out that information from aerial surveys also needs to be included in carcass reports. Often more carcasses are reported from aerial surveys but these need to be followed and verified with ground truthing, and should subsequently be reported as a single event. It was noted that space for additional comments is needed in the form. As an example it was described how almost all elephants might e.g. carry bullets or arrowheads that may be totally unrelated to the cause the death of the animal. Hence there should be no hesitation to list the cause of death as unknown in such ambiguous cases. In other words, it is better to note the cause down as unknown rather than speculate. Several comments were made regarding the cause of death section in the carcass report. In particular, it was emphasized how difficult it is to categorize this information. The need for a section where the patrol leader can justify his reasons for arriving at any given cause of death was mentioned repeatedly. The overall consensus was that this section needs to be modified. It was noted that cases where tusks are not available should be indicated in this section of the form. It was noted that sections 16 and 17 of the report, which deal with shoulder height and length of hind foot would be omitted. Regarding financial information it was emphasized that data on currency exchange rates and dates of conversion must be included in this section. Concerning staff levels per month, it is important for the Site Officer to keep records of the staff levels because personnel often move from one area to another (especially if part of a specialized unit). Concerning the section on live and dead elephants, the importance of indicating the location of carcasses and tusks on a map was noted, and it was reiterated that MIKE would also assist with producing maps in the future. It was pointed out that some operations such as seizures of ivory from offenders are recorded on ETIS forms. Furthermore, in some cases, measuring effort levels are not possible. (e.g. carcass reports received from tourists). Regarding the section on evidence of deaths through drought, disease and other natural causes, it was felt that other categories of poachers such as illegal honey or firewood collectors should also be noted as this reveals the extent to which people can penetrate the site even if not actively involved in poaching. Concerns were raised over the relevance of indirect evidence such as footprints and gunshots (C6). It was clarified that at some sites, this can be very useful information as it indicates the level of activity, even if not poaching per se. However, this may not be necessary information for all sites, and its purpose is for recording illegal activity and its causes. Training will be provided to guide field staff further on this matter. Clearly defined site boundaries are an important element in MIKE implementation. The more complex the management system, the more complicated it will be to analyze the data, especially law enforcement effort. For example, in areas where people and wildlife co-exist, and where there are many different management systems such as private owners, country councils, etc. boundaries need to follow management regimes to facilitate data analysis. It was acknowledged that some information from specialized groups (e.g. military) is not always obtainable or considered too sensitive to be submitted. It was also suggested that information on community conservation effort should be included, where applicable, in part A7 of the monthly report. It was agreed from earlier discussions on the patrol report to remove the section describing foot patrol formation (C4). A further comment was made on the monthly report, i.e. that data from aerial patrols should be incorporated into C1. In an effort to lessen the burden on SOs, it was suggested that a quarterly reporting system be adopted instead of the monthly reports. This issue had also been raised in the central African sub-region. However, it was cautioned that this carries the inherent risk of firstly, increasing workload on the reporting officer, and secondly, risking losing data three months of data instead of one. It was therefore recommended that the monthly reporting system be adhered to initially, and that MIKE would provide capacity building at site level to help SOs as much as possible. Range States were also encouraged to select SOs, who are capable of such data analysis duties and supervisory duties. Concerns were raised about the lack of opportunity for range States to include their analyses and conclusions in the monthly reports In fact at present; the monthly report is more of a data collection form than a report since it lacks this analysis. Furthermore, the authorship of CoP reports, process of compiling CoP reports (i.e. input from countries) was questioned. It was clarified that the CITES Secretariat was charged with presenting the report at CoP (in accordance with Resolution Conf. 10.10 (Rev. )), and it is the CCU that is responsible for compiling the report under the MIKE Director and passing it to the CITES Secretariat. No analysis has been made to date based on the monthly reports because this data is not yet available. However, it was stressed that analysis at national and site level is the ultimate aim of MIKE, and this can be realized once the tools and training are provided at all levels. Data sovereignty and ownership at national level was reaffirmed. The overall consensus was that the range States will be empowered to do their own analysis and any information produced by statisticians will be submitted to the Sub-regional Steering committees for their comment. The use of statisticians will help ensure data analysis is fully comprehensive, but will rely also largely on analysis at the national and sub-regional levels. Hopes were expressed that tangible benefits at the national level would result from MIKE and it was confirmed that this is indeed the overall goal of the programme. It was explained that information from MIKE should be used by range States to optimize their elephant management initiatives both at the national level and sub-regional levels, especially for cross-border populations. Even at CoP level the data still belongs to the range States and is meant to help the countries to make correct management decisions, The MIKE Director and CITES Secretariat will remain neutral in policy and management decisions, where decision-making rests with the range States. It was suggested that the end result of these reports could be a sub-regional dichotomy that identifies some countries as clearly performing better in terms of elephant management and law enforcement efforts than other. On the other hand, hopes were raised that MIKE could be used to attract further funding to support protection efforts. Indeed, it was confirmed that some donors have already indicated that the unifying sub-regional structure of MIKE is viewed favorably by the donor community. However, it was acknowledged that there is the need to get the programme fully operational first to build a foundation necessary for obtaining long-term funding. Such efforts at regionally coordinated action in sub-regional elephant conservation strategies are already emerging from western and central Africa and MIKE is a key element of these strategies. An overview of the annual reports that SOs have to compile at site level. The debate focused on section A18 regarding operational budgets details. This report has not been finalized and instructions have not yet been developed. The idea is not to have a common approach from all sites and countries, but at least to get consistent budgetary information from each site in order to establish trends. There could be several agencies involved in the management of an area and information in which case information from all these agencies will be required. However, TAG needs to consider the complexity involved in compiling this data. Kenya proposed and Uganda seconded the United Republic of Tanzania’s nomination for chairmanship of the SSC. The United Republic of Tanzania warmly accepted the nomination. No standard protocol for aerial surveys for savanna sites has yet been agreed upon and it has not been reviewed by MIKE TAG. It was explained that aerial survey methodology in other sub-regions may differ slightly from methods used in eastern Africa, and this must be taken into account when deciding the final protocol. On a related note, participants were asked to clarify whether any of the MIKE sites have large portions of forest cover so that survey techniques can be adjusted accordingly. Finally, it was suggested that the CCU could possibly subcontract special teams to do surveys in areas that have not been surveyed to date. Information was presented on dung counts for all mammal species, and for elephants, which both show good correlations of dung indices and other indices of abundance. More recent work shows dung count surveys giving similar degree of variances to aerial surveys. Existing efforts regarding intelligence monitoring were recognized and countries are encouraged to apply this to MIKE sites. However, major concerns were raised over sensitivity, confidentiality and relevance of intelligence information. The general consensus was that this information was too sensitive to include in the forms, as it would inevitably violate confidentiality between the source of the information and the law enforcement officer. However, it was recognized that in some cases the only source of information on a site might be the informer network in nearby communities and that the role of this information must be recognized. 14. Implementation / what needs to be done next? The important issue of counterpart contributions was explained to the participants. Specifically it was deemed necessary to determine the level of in-kind contribution to MIKE. It is a donor requirement that the counterpart contributions are characterized by every country participating in MIKE. The important point was made that the countries are assumed to provide staff for MIKE implementation. In fact, this was identified as the most substantial in-kind contribution the range States could make. However, MIKE would help with establishing contacts between donors and range States in case additional funding was needed to increase staff levels, etc. There was also consensus on the need for training trainers in order to build continuous capacity. Range States were also encouraged to notify the Secretariat of appropriate institutions or agencies and existing training modules that could be harnessed for this purpose. The training modules on the CITES website could also be utilized for this purpose. This area is divided into three distinct patrol zones. Rangers are deployed in one trailer at different areas at different sites. This is complemented by monthly 10-day patrols. A total of 10-15 days per month are patrolled per month by teams of 5 men. The area is divided into 4 zones and the patrols units produce weekly and monthly activity reports. There are approximately four foot and vehicle patrols per month, 15 days per patrol, and approximately 21 men per patrol. Four pick-up vehicles are the only available transport. Both foot and vehicle patrols are conducted at the rate of three to four patrols per month, seven days per patrol. The average size of patrol is 7-10 men. Aircraft are available but no information was given on aerial surveys at this site. In the Selous Game Reserve / Mikumi National Park site, both foot, vehicle and aerial surveys are conducted. Approximately 3 foot and vehicle patrols are conducted per month of six days each, consisting of 10 personnel. Pick-ups and aircraft are available. Vehicle and foot patrols and aerial surveys are conducted at the rate of approximately five patrols per month for ten days each. The patrol staff is organized into companies of over 100 men who are strategically posted in various areas. The companies are divided into platoons and further into sections. Average size of patrols is 10 men, patrolling for at least 5 days although anti-poaching patrols patrol for at least 10 days at a time. The Kenyan system relies heavily on aerial surveys. Husky, Cessna 180/182 and Supercub aircraft are use for this purpose with the occasional use of helicopters. Each platoon is allocated a specific area to cover which patrol for 2-3 days (One day per section). Patrols are dropped off at a given place from which they deploy on foot. Observation points are widely used (especially in the Tsavo site) as listening posts. Detected gunshots are used to direct aircraft to areas of suspected poaching activity. A particular characteristic of this system is that aerial surveys report weekly on the location and movement of elephant populations to law enforcement authorities. This information is then used to guide deployment activities. Approximately 60 foot patrols and 30 aerial patrols take place each month. The system is virtually identical in the Meru and Tsavo sites except that observation points are not used in the former. Mount Elgon NP constitutes a notable exception to this system. Here only foot patrols are used due to thick forest cover and maximum two-day patrols are conducted because of the cold weather typical of this site. The prevalence of bushmeat trade on the border area of the Tsavo sites was reported . The Laikipia/ Samburu site encompasses a number of partners. Save the Elephants conducts radio tracking of collared elephants and also carry out 26 ground patrols per month, averaging two men per patrol. These are supplemented by regular aerial patrols. Private ranches conduct at least 10 flights per month and some group ranch scouts (Namunyak and Il Ngwesi) carry out about 30 patrols a month consisting of 8-10 men. County councils also have their own monitoring efforts as do local Maasai warriors (Morani). Most of these partners are linked by a common radio frequency providing an effective communication channel. It was emphasized that the Site Officer would therefore have to liaise with all these different partners when collecting and analyzing site-specific data. At this juncture it was pointed out that a target number of forms expected from each site should be established because of the high frequency of patrolling described so far. This would ensure that the quantity of data generated is kept at manageable levels. Queen Elizabeth National Park, Murchinson’s Falls National Park and Kidepo Valley National Park. The law enforcement personnel are deployed at strategic outposts in these sites. Foot, vehicle and aerial surveys are carried out at each site, with boat surveys also conducted in the QE and MF sites. In terms of aircraft this is operational at the Kidepo site, while the one in MF is grounded and the aircraft for QE is based at headquarters, used for purposes other than aerial surveys. In each site, almost daily foot patrols are conducted with 6-10 personnel, whilst regular vehicle patrols of 2-5 days duration are carried out a minimum of four times per month. Boat surveys are conducted daily, by at least 2-4 men. There are additional boat surveys in conjunction with tourist activities. In the case of Kidepo valley, a minimum of twelve rangers patrol on vehicle and foot on a daily basis, 2-5 days per patrol. In Uganda, the MIST (Management Information System) generates detailed outputs on law enforcement effort, including number of patrols, days patrolled, nights patrolled, hours patrolled, kilometers patrolled, days per patrol, etc. For example, in 1999 in MF, 170 patrols were made over 311 days, 141 nights and 2,603 hours. These patrols covered a total of 3,207 km. This gives average rates of 1.83 days/patrol, 0.83 nights/patrol, 15.3 hours/patrol and 18.86 km/patrol. During January to April 2000, a total of 110 patrols were made, lasting 183 days and 72 nights. It was also noted that there were contiguous forest areas adjacent to these sites, although the management authority did not extend to these sites even though there is movement of elephant populations between these areas. It was hoped that such patrol data would soon become available from the Mount Elgon site. It was proposed that the countries name the representatives of the Sub-regional Steering Committees and offer nominations for the National and Site Officers There was general consensus that the national wildlife directors should be nominated as members of the Sub-regional Steering Committee. Later on, the directors would have the right to designate someone else as a member if so desired. Eritrea nominated Mr Yacob Yohannes as the National Officer. He would also act as the member of the Sub-regional Steering Committee. Mr Kibrom Emun was designated as the Site Officer. The site officer for the Mount Elgon site will be nominated at a later stage. As the nominated Chairperson for the Subregional Steering Committee, Mr Emmanuel Severre was automatically the nominated representative from United Republic of Tanzania. However, the United Republic of Tanzania asked to be allowed to offer its nominations for the National and Site Officers after consulting with the other management agencies (TANAPA, NCAA). A response was promised by Tuesday 3rd April, 2001. The steps to be taken to recruit a Sub-regional Support Officer for each site were outlined. All four sub-regional positions will be advertised simultaneously. The applicants will be assessed by the MIKE director, who will make his recommendations to the MIKE Subgroup. KWS will provide vehicles for deployment patrols at each site. Aircraft exist at the suggested sites, however it was requested that MIKE would contribute to their operational costs. Furthermore, equipment such as computers and field equipment would also be funded from MIKE. The need for training SOs in basic analysis and data entry was also expressed. It was mentioned that pilots exist but financial assistance for carrying out aerial surveys would be required at all sites. A figure of approximately USD 50,000 was mentioned as required to cover the Tsavo / Mkomazi site. Aerial sites in the Meru region would be partially supported by WWF but exact contributions are not yet known. However, the budget available for aerial surveys for all the savanna sites in Africa is USD 245,000, so clearly this would be inadequate to meet the total costs for all the proposed sites. The MIKE Director promised to try to look into ways of raising additional funding for these activities but also stressed the importance of investigating how to use the existing resources in the most efficient way. In the case of the Laikipia/Samburu site, which has a number of stakeholders, it was seen as difficult to know all contributions and how these could be centralized but it was promised that this information would be provided to MIKE as soon as possible. Finally, the need for Cybertrackers and associated staff training was also raised. The Mount Elgon site will be surveyed using the dung count methodology, and it is hoped that this can be conducted in collaboration with Uganda to cover the entire cross-border ecosystem. There have been controversies over which dung count methodology to use at the Mount Elgon site, and therefore MIKE was asked to provide training and guidance in this manner. Extensive forest areas also exist in Laikipia in the Matthews and Ndoto Mountain ranges as well as the Ngaradare areas, so training in forest survey techniques will also be required to effectively cover these sites. Kenya promised to communicate to the MIKE Director a specific list of requirements with costing at the nearest opportunity. The United Republic of Tanzania suggested that the Mweka and Pasiansi wildlife training colleges could be used to provide regional training for sites / national officers. It was felt that Mweka in particular would be in an ideal location to do this due to its proximity to several MIKE sites. However, this would require some addition financial support from MIKE. Trainers from Mweka could also provide site level training modules and exercises. In the case of the Serengeti National Park / Ngorongoro CA and the Tarangire NP / Manyara NP sites, support for new vehicles and extensive training was mentioned. In the Moyowosi site, a figure of USD 50,000 to repair existing aircraft was mentioned. Further, the need for a generator, computers, Cybertrackers and support in ranger post establishment were listed. In the Selous / Mikumi site, aircraft do exist but operational costs need to be met, and Cybertrackers and a minimum of 50 GPS units are required. Training for SOs would also be required. Again a specific list of requirements would be forwarded to the MIKE Director by 3rd April 2001. Additional assistance was requested to produce 5x5 km grid maps, computers and software, as well as back-up systems. A further four vehicles would be required for the Selous site. In the Rungwa / Kizigo / Ruaha site, a few more vehicles would be need for Rungwa, one more vehicle for Ruaha, and a pproximately USD 50,000 to fix the existing aircraft. Other requirements mentioned for this site included computers, generator, Cybertracker and financial support for aerial surveys. It was also suggested that surveillance training for all sites should be investigated, perhaps through the Lusaka agreement, and it was suggested that the MIKE Director liase with the authorities of the Lusaka agreement, and use this as a way of sourcing more funding. A need for surveying the highland forest areas of Ngorongoro by the use of dung counts was also mentioned. The total forest area was given as approximately 2000 km2, and training needs on survey methodology were mentioned, and MIKE reaffirmed that this kind of training could be provided.Vehicles were also needed for Ngorongoro and the Manyara sites. It was stressed that a final budget for MIKE implementation should be finalized as soon as possible. This is because in most countries in the subregion budgets are about to finalized for the new financial year. The MIKE Director was therefore urged to give an indication of approximately how much support MIKE could provide in total. However, it was clarified in the case of the United Republic of Tanzania that if additional external funding was secured, there would be nothing stopping immediate MIKE implementation. In the case of Kenya, estimation of donor support also has to be given to the government when outlining the overall financial requirements for the year. Therefore, this financial information is required from MIKE as soon as possible. Eritrea requested further training from the site and national officers, and the training of field staff on the data collection and and analysis. There is also a need to purchase an aircraft and at least one vehicle in addition to computers, software, GPS and various field equipment. Due to the recent conflict with neighbouring Ethiopia, much of the infrastructure at this site has been lost and the ground patrols previously carried out by a single site have ceased. Operating costs for aircraft to carry out aerial surveys. New vehicles (minimum one required; three would be ideal). Support in establishment of outposts. As a general comment, the CITES Secretariat requested the Parties to submit more finalized inventories. It was also felt that early information on specific levels of support from MIKE could assist some countries in obtaining duty free status. Again, the need to quantify counterpart contributions was raised. The MIKE Director explained that he would like to put a financial value on such contributions because this can help to leverage more funding opportunities, and is a requirement with the EC, the current major donor of the MIKE programme. It was also described that the TAG would need to be structured so that it can react more rapidly to changing requirements of MIKE. The importance of listing the donor organizations or other partners working at the site level was emphasized because this information could help donors already involved at the site level to extend their funding commitments. The Director promised to work closely with the range States on this issue. A training workshop for SOs is planned for June 2001 in Uganda. This will concentrate on methodologies for savanna sites. A workshop on MIKE implementation in forest sites would also be organized soon afterwards. However, the range States should communicate to the MIKE Director the most appropriate time for conducting forest surveys. Dung decay rates under local conditions should be established to allow for calibration of the dung survey technique. It was mentioned that Dr. Richard Barnes could possibly provide specialized training in this field. Furthermore, it was suggested that site visits to the southern African subregion could be organized for the SOs to learn from experiences in that subregion. As a general rule, it was advised that sites with relatively small forests could be surveyed from the air, but larger forests would probably require additional dung surveys. The importance of harmonizing the data protocols was re-empahised, and it was acknowledged that existing information should not be wasted, but harnessed by the MIKE process. The need for a subregional carcass marking scheme has also been highlighted during this workshop, and must be developed as a joint effort between the range States. It was also stressed that any aerial surveys planned for this year should be identified immediately, in order to determine whether MIKE support would be required. Importance was given to the need of the MIKE Director and CITES Secretariat to pay courtesy visits to the Ministries of the subregion, in order to help gain high level support. The subregional wildlife Directors would assist in arranging these meetings with the relevant authorities. In a similar vein, regional bodies such as the EAC should be approached. Before such courtesy visits, the relevant authorities should be informed in writing about the objectives of MIKE and the proposed visit. This will be conducted by the MIKE Director, and the CITES Secretariat will assist in linking these visits with the requirements of each CITES Party under Resolution Conf. 10.10 (Rev. CoP12) (Rev.). To summarise, priority should be given to efforts aimed at increasing the understanding of the MIKE process at all levels of the government. An overview of ETIS was presented by TRAFFIC with special reference to linkages to MIKE. It was explained how ETIS is designed to augment the existing law enforcement efforts whilst providing suitable data for analyses at the international level. The presentation included the history and development of ETIS, its purpose and mode of operating, major developments and future steps. The CITES ETIS data collection forms were circulated to all Parties present to encourage further reporting of elephant ivory and product seizures in the prescribed manner within 90 days of a seizure. Further, country summary reports in tabular format were circulated as part of the feedback loop, and Parties were encouraged to review and provide feedback to the CITES Secretariat. Reference was made to several CITES documents, including Resolution Conf. 10.10 (Rev. CoP12) (Rev. ), Doc. 11.31.2, Inf. SC 41.1 and the ETIS summary report produced for CITES CoP11. There was a query on the specific role of TAG in providing advice to ETIS, and clarification was sought on this matter. It was stated that according to Resolution Conf. 10.10 (Rev. CoP12) (Rev. ), the TAG was established for MIKE and has no formal role in ETIS. It was further explained that ETIS is a complimentary programme to MIKE since it records illegal seizures on a global scale, and can subsequently be linked to illegal killing information. Regarding analysis, it was explained that interpretation of the data by TRAFFIC would be conducted in association with the CITES Secretariat and institutions involved with MIKE (according to Res. Conf. 10.10 (Rev. CoP12) (Rev.). Further, it was stated that a close liaison had already developed between the MIKE Director and TRAFFIC East/Southern Africa, which would help facilitate future analyses. It was also explained how ETIS is very valuable tool in fostering synergy between different law enforcement authorities, since ivory seizures may be undertaken by a range of authorities. Further, ETIS country reports and the feedback loop enable countries to place their country in the international picture, especially when they are implicated as a country of origin or transit by another country making a seizure. This in turn can enhance existing law enforcement activities. The CITES Secretariat also offered to assist in obtaining further information in such an event. It was noted how countries in Central Africa have asked for advice in registering national ivory stockpiles, and other Parties were encouraged to do likewise. There was also concern shown that some field staff in MIKE sites may not fully understand registering requirements for ivory, and TRAFFIC were asked to include this in their ETIS training modules. In response to a query on how ETIS deals with legal trade in elephant products, it was clarified that this is one of several subsidiary databases under development. Data on legal transactions are obtained from the CITES database kept at the UNEP - World Conservation Monitoring Centre (UNEP-WCMC). UNEP-WCMC stores and analyzes all CITES annual reports received from CITES Parties. Clarification was sought from TRAFFIC regarding future assistance to help authorities to implement ETIS. Although it is the CITES Management Authority’s role to organize completion of the ETIS forms, the complexity of such a task was recognized. In response, TRAFFIC are developing a two-day workshop module designed for training trainers, improving data quality and facilitating networks amongst law enforcement agencies. Mr Justus Tindigarukayo, the Assistant Commissioner Wildlife, Ministry of Tourism, Trade and Industry of the Government of Uganda thanked the organizers and the hosts of this meeting. Mr Tindigarukayo expressed his appreciation of the objectives of MIKE and noted that it had a great chance of success at all levels provided it can be made to work as expected. The open and constructive dialogue that the participants had engaged in during the two and a half days marked a new point of departure in the way that CITES was showing commitment to protection of the elephant across its range. It was felt that this new positive direction was instrumental in building confidence and consensus and at the all levels. In particular, by emphasizing capacity-building and consolidating the sense of ownership of the program at the sub-regional level MIKE is well on its way to evolving into a valuable national management tool and a crucial mechanism for saving the species. The meeting was closed by Dr. Jim Armstrong on behalf of the CITES Secretariat. Dr. Armstrong extended his gratitude to the Government of the United Republic of Tanzania and the entire United Republic of Tanzania delegation for hosting this workshop and for the wonderful hospitability the participants had enjoyed during their stay. A special thank you was also extended to Dr. Ian Douglas Hamilton who attended as a representative of the TAG, Mr Nigel Hunter, the MIKE Director-designate, the rapporteurs (Mr Simon Milledge of the TRAFFIC Tanzania office and Mr Leo Niskanen of the IUCN/SSC AfESG) and all the country representatives. The level of cooperation, collaboration and constructive dialogue experienced during this workshop had surpassed the most optimistic expectations of the CITES Secretariat. The birth of MIKE is now taking place through the dialogue with the Sub-regional Steering Committees after a long and difficult labour. 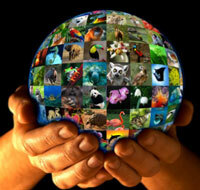 CITES is looking forward to nurturing the program together with the range States through its formative years. A number of new friendships has been forged during the meeting and the chances of successful implementation of the MIKE process in the eastern African sub-region has been greatly strengthened. Date of next planned survey?